ANCHORAGE, Alaska, August 15, 2011 (ENS) – The designation of Wild and Scenic Rivers and a new National Wilderness Area are central to a new 15-year draft conservation management plan for the Arctic National Wildlife Refuge in Alaska, the U.S. Fish and Wildlife Service said Friday. The Obama administration’s plan comes as the State of Alaska is preparing to open millions of acres of state-owned arctic lands on the western border of the refuge to an oil and gas lease sale. The Fish and Wildlife Service’s draft Comprehensive Conservation Plan and Environmental Impact Statement contains six alternatives for long-term management. One alternative recommends that Congress designate the Hulahula, Kongakut, and Marsh Fork Canning rivers as Wild and Scenic Rivers. “Our alternatives focus on potential wilderness and wild river recommendations, and management of the Kongakut River. 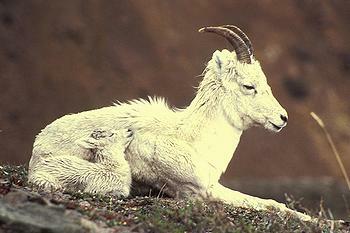 The draft plan does not include a preferred alternative,” said Refuge Manager Richard Voss. 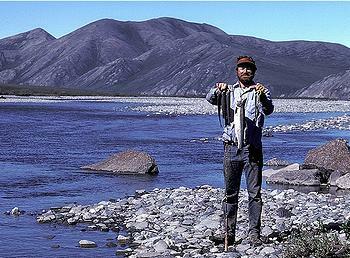 The Kongakut River, on the north side of the Brooks Range, offers spectacular views from the mountains to the coastal plain; contains a variety of unique geologic features; receives nearly one-quarter of the documented visitors to the refuge; and its entire extent is in designated wilderness. 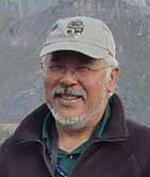 But, the plan says, refuge staff have received visitor reports of group crowding at boat launches; user conflicts; excessive over-flights; fire rings, tent rings, and human waste accumulations at concentrated access points and popular camp areas; hardening or impairment of fragile riparian and tundra habitats; and increased footprint of aircraft landing areas. For further protection, the Service is considering designating three areas, including the Arctic Refuge coastal plain and the Brooks Range of mountains, for inclusion within the National Wilderness Preservation System. None of the proposals under consideration would change existing protocols for subsistence harvest. To get public opinion on the six options, the agency is conducting a series of public meetings and reviewing public comments before finalizing the plan, which will ultimately identify a preferred alternative. “The involvement of the public is a critical part of the multi-year Comprehensive Conservation Plan development process, and we look forward to receiving substantive public input on the draft plan,” said Sharon Seim, natural resource planner in the Alaska Region Division of Conservation Planning and Policy. Wildlife and fish species on the refuge include: polar bear, grizzly bear, brown and black bears; wolf, wolverine, marten and Arctic fox; lemmings, muskox, moose and Dall’s sheep; gyrfalcon, chum and Chinook salmon, lake trout, Dolly Varden, and Arctic char, seals, beluga whale, and an occasional bowhead whale. The refuge offers nesting habitats for hundreds of thousands of migratory birds. Much of the Central Arctic Caribou herd seasonally inhabits the area north of the continental divide, while the valleys south of the divide provide important wintering habitat for both the Porcupine Caribou herd and the Central Arctic herd. In 1980, the Alaska National Interest Lands Conservation Act enlarged the area to over 19 million acres, renamed it the Arctic National Wildlife Refuge, designated eight million acres of it as Wilderness and designated three Wild Rivers. Jamie Rappaport Clark, executive vice president of the nonprofit Defenders of Wildlife and a former director of the Fish and Wildlife Service under President Bill Clinton, says the refuge urgently needs increased protection. “The enhanced protection afforded by such a designation, including a prohibition on oil and gas development and other industrial activities that would disturb the area’s wilderness character, are critical to avoiding even greater peril to the survival of species on the refuge due to climate change,” said Clark. New research released Friday by Defenders of Wildlife shows that increased protection for the Arctic National Wildlife Refuge is critical to the survival of 16 of the refuge’s 38 mammals. The report warns that the polar bear, Arctic fox, lynx and caribou could face serious risks as the Arctic landscape is transformed by a warming climate and encroachment of industrial development. 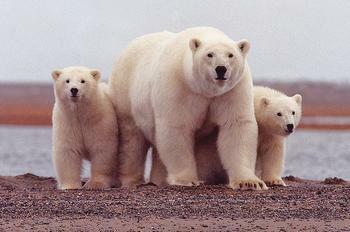 Oil and gas developers have long desired to get into the Arctic National Wildlife Refuge. Now they have their eyes on a lease sale of Alaska State lands on the western border of the refuge announced by Governor Sean Parnell in June. 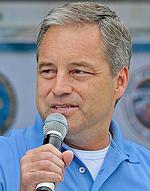 The governor plans to open up 14.7 million acres of state owned arctic lands to an oil and gas lease sale on October 26. The land to be leased comprises almost all of the central arctic state-owned land between the Canning River western border of ANWR to the Colville River eastern border of the National Petroleum Reserve-Alaska. It will extend north to south from the Arctic Ocean three mile state waters boundary all the way to the foothills of the Brooks Range 120 miles inland. The leases will also include all the Alaska State waters land along the 10-02 Area of ANWR and the National Petroleum Reserve-Alaska (NPR-A). By drilling on state land and waters adjacent to NPR-A and ANWR, developers may access untapped oil that lies beneath these federal lands. It will potentially be the largest lease sale held in the United States in 2011 comprising 576 tracts including: two million acres along the Beaufort Sea coast; 5.1 million acres in the central coastal North Slope; and 7.6 million acres in the Central Arctic Brooks Range Foothills. 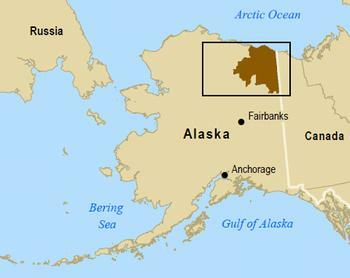 The Alaska Division of Oil and Gas estimates that the lease area could contain between three and six billion barrels of oil and 24-44 trillion cubic feet of natural gas. Saying that “climate change is expected to continue to affect refuge resources and the associated human environment for the foreseeable future,” the Service said there are “few actions the Refuge can take” to manage the effects of climate change. Nevertheless, the draft plan adds a climate change component to the Management Guidelines. Refuge staff will monitor and study climate change, but will follow a process of non-intervention with the exception of invasive species or management emergencies such as public safety, threatened or endangered species, or subsistence resources. 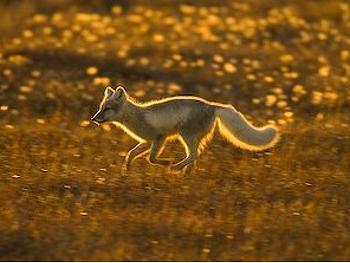 “The Fish and Wildlife Service faces the daunting task of preserving the ecological values of this refuge under siege. And that’s before the complications and damage posed by dangerous oil and gas drilling have even come into play,” Clark said. In addition to the public comment period, the Service announced it will hold a series of public meetings in Alaska beginning with an Open House in Fairbanks on August 24. Click here for a full list of dates and meeting locations. Public comments will be accepted through November 15, 2011.